Yuvraj Singh the veteran all-rounder got burned yesterday. Not in reality but on Social Media. Former ace of pace and Yuvi’s ex-teammate trolled Yuvraj for his sub-standard fielding in the ongoing ICC Champions Trophy. Zaheer had a good day on Twitter during the final Group B game between Sri Lanka and Pakistan. The former Indian pacer hooked up to the exciting match. And kept on tweeting about the match. At a certain point, Sri Lanka had the match in their pocket before captain Sarfaraz Ahmed and tailender Mohammad Amir started pulling things back for Pakistan. While seeing the match-turning partnership, Zak posted a tweet opining about the ever changing contest which was unfurling around then. Yuvraj Singh and Zaheer’s Twitter game!! This tweet got a reply from his ex-teammate and close friend Yuvraj Singh. Yuvi tried to pull Zak’s leg for continuously tweeting throughout the day. Then Zaheer came back with a “quite personal” reply. This is in fact pretty much get Yuvraj burned and at the same time, it is motivating too. Gone are the days when Yuvi was real quick in the field and used to take some breathtaking catches. Age number is certainly catching him up. Zaheer fielded at the boundary line almost for his entire career but he left no stone unturned in trolling Yuvi. Yuvraj Singh is approaching a special milestone in his career. He is likely to play his 300th ODI against Bangladesh in the semi-final. Coincidentally it was the same tournament (formerly called ICC Knockout Trophy) where he made his debut against Kenya in the year 2000. So far Yuvi fared pretty decently in the tournament with 83 runs in 3 games including a half-century. Not only Yuvi but his fans too would like to make this milestone a memorable one. We wish him and India all the best for the semi-final. 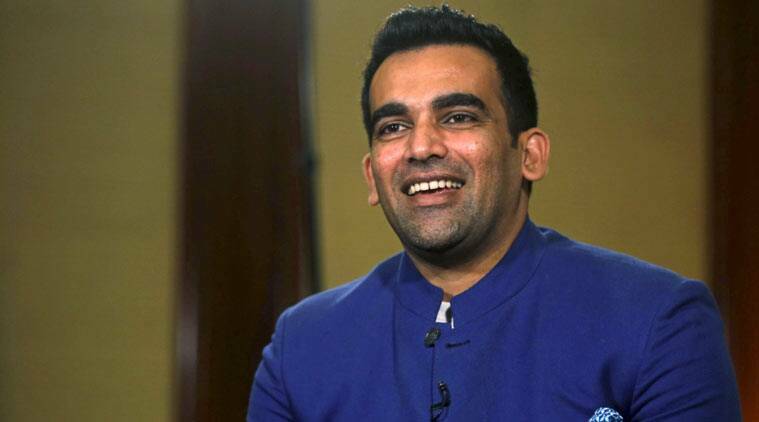 Zaheer Khan, on the other hand, recently got engaged to his long-time girlfriend and actress Sagarika Ghatge.